The 2.4-meter (seven feet) tall Hoa Hakananai'a sculpture was allegedly pilfered illegally by Richard Powell aboard the "Topaze" and given to Queen Victoria as a gift. 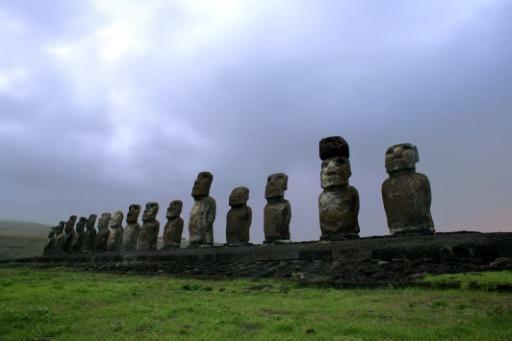 This request "seems appropriate given the new coordination and conservation functions being carried out on the island with regards the Moai," Chile's National Treasures Minister Felipe Ward told AFP. Since December, the indigenous Rapa Nui have taken over the conservation, preservation and management of their archeological heritage. Easter Island is a UNESCO World Heritage site lying around 3,700-kilometers (2,000 miles) from the coast of mainland Chile, and whose original inhabitants are a Polynesian people closely related to those in Tahiti.